Amon Patricia is a powerful Demon Lord who one day finds herself on the receiving end of a vicious attack by the Clan of Light. Fleeing to fight another day, Patricia finds herself in the human world! Looking to blend in, she immediately seeks work and finds herself on the doorstep of the Humming Dining restaurant. 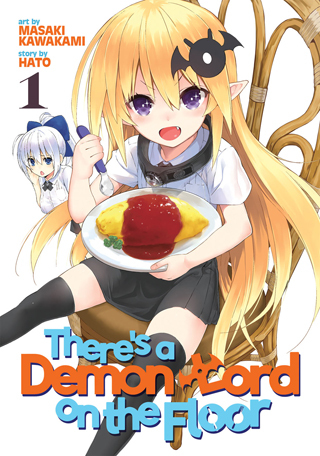 She falls in love with their cooking immediately, and now the head chef has plenty more on his plate as he must sate the Demon Lord’s appetites, while shaping her into the perfect employee!